If you’ve been tempted to give the interior of your office space a makeover, it’s likely to be hugely beneficial for your company. 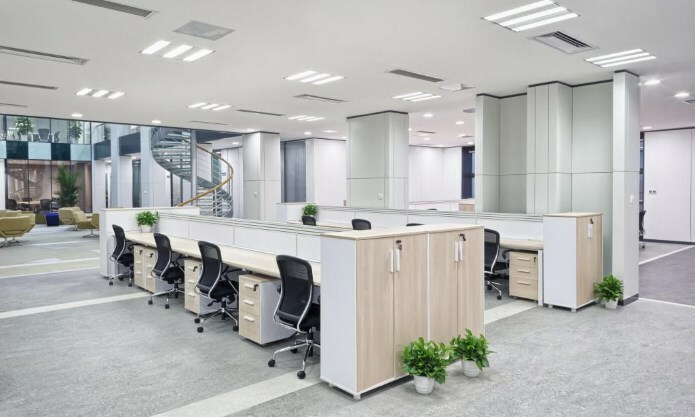 A recent demand for more effective and more sophisticated looking office spaces has seen many business owners seeking out assistance with professional commercial fitouts. A combination of versatility, practicality and modern designs can help to improve the aesthetics, culture and professionalism of your working environment – and the benefits don’t end there. If you’ve been thinking about contacting a professional for commercial fitouts, here are some advantages to help you make a decision. Companies are now known for more than just their results, with professional companies expected to have the branding to match. Commercial fitouts performed by interior experts are a great way to create a space that’s impressive in its style and sophistication. Fitout professionals will know what works and how best to portray your branding. Once you’ve developed a relationship with a company that understands your branding and style, they can then become your go-to for any future updates you may need. Opting for commercial fitouts that prioritise comfort, convenience and enjoyment for your workers is the easiest way to boost productivity and wellbeing. Research has shown that providing your workers with a space they actually want to come to can help boost staff morale, teamwork and quality of work throughout the office. Look for fitout providers that can work with you to establish open floor communication hubs, fun work-break activities, and complete office functionality. Professional fitout companies that deliver modern and forward thinking commercial fitouts will know how to best implement modern technology and ensure proper placement of power and data points. This means that your company won’t lag behind in its use of modern technology and tools. With advancements and shifts in technology occurring every day, it’s vital that you have the opportunity to properly and practically utilise them. This improves the general efficiency of your office and allows you to utilise computers, projector screens, tablets and more. Commercial fitout experts will be able to provide you with the smartest fitout possible in terms of ensuring a good amount of light, making sure there’s ventilation throughout the space, and implementing various other functional aspects to improve accessibility. Modern commercial fitouts are highly sought after because they result in spaces that are much more efficient and less stressful to navigate, making moving around easier and more convenient. Commercial fitouts are also the easiest way to ensure that your space is being properly used. Experts in the industry will know how to portray your environment in a spacious and stylish way. It’s important that offices are tidy and comfortable for workers, and it’s as equally important to greet clients and guests with an environment that’s spacious and professional in order to give the best possible first impression.